I recently posted a short discussion of what “the natural attitude” means in Husserl’s phenomenology. As I mentioned, the natural attitude is the perspective of everyday life. For Husserl the process he calls the phenomenological reduction is the means by which the phenomenologist frees himself from the reifications of the natural attitude, gaining a standpoint from which to view and explicate both real (Ger: real) and irreal (Ger: reel) objects, having bracketed their facticity, as presences. 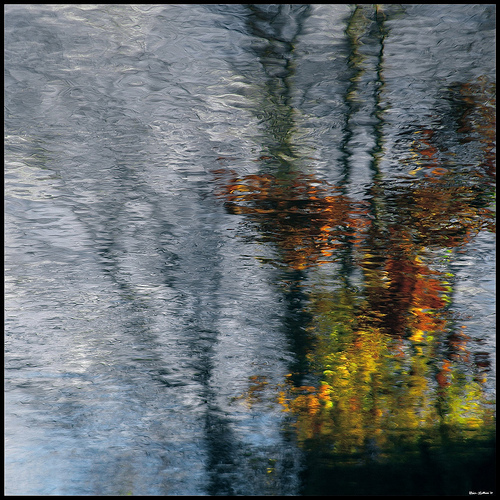 The word “reduction” is used philosophically; it doesn’t mean diminishing something, but instead relies upon one of the meanings of reduction’s Latin root: to restore or return something to a more primordial mode. Husserl uses the term reduction to signify a specific shift in attitude that can be employed by the researcher in a variety of contexts. Hence Husserl referred to phenomenological, philosophical, psychological, eidetic, transcendental, ethical, and intersubjective reductions (Kockelmans, 1967). Not only is my perception of external objects transformed when I adopt the attitude of the reduction, but likewise my perception of the most intimate of objects: my personal ego. Phenomenology’s reductions reveal not only the phenomenal nature of objects but also, Husserl claimed, transcendental subjectivity and intersubjectivity. 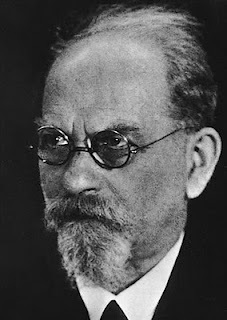 Husserl (1982, p. 44) explained the reduction’s rigor in his discussion of the “Principle of all Principles” in the first volume of Ideas: “everything originarily…offered to us in ‘intuition’ is to be accepted simply as what it is presented as being, but also only within the limits in which it is presented there.” Employing the phenomenological reduction I take no position with respect to the ultimate (existential) reality of what I see; instead, I simply witness it just as it presents itself to me, and describe it as such. This instance of the reduction is properly termed the phenomenological reduction because facts are “reduced” to the way they stand out to me as presences. Phenomenology uses the reduction to entirely set aside existential questions and shift from existential affirmation or negation to description. It is a method involving a bracketing or parenthesizing (Einklammerung) of something that had formerly been taken for granted in the natural attitude. This particular reduction reduction (as has been noted, there are many kinds of reductions for Husserl) leads the researcherto recognize his or her embeddedness in intersubjectivity. 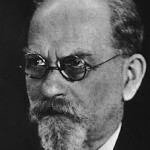 Husserl claimed that when one examines the phenomenal ground of what it means to be an “I,” one discovers that it is impossible to have a sense of “I-ness” without an accompanying sense and expectation of “you-ness”—indeed, at the core of the sense of “I” there is the experience of a plurality of “you’s”—what Husserl termed “co-subjectivity” (Mitsubjectivität). This collectivity is an open horizon of transcendental subjects, that is, subjects whose conscious acts (noesis) transcend the factual objects of experience. Since, Husserl argued, the co-subjectivity of transcendental others is an indispensable constituent of the life world, he concludes that the life world is a field of transcendental intersubjectivity. These insights are close to the foundation of the phenonomenological study of empathy by Scheler, Husserl, and Stein, a topic Zahavi (2010) has recently explored. It is in this context that Husserl spoke of a “transcendental reduction” or an “intersubjective reduction.” For Husserl transcendental subjectivity, always embedded in intersubjectivity, constitutes and bestows sense to the psychological and natural domains (Gurwitsch, 1966 p. 111). Therefore transcendental subjectivity “can be called the primal basis for all legitimacy and validity…” (Ibid. p. 111). Consequently it is the transcendental reduction that differentiates phenomenology decisively from every other kind of psychology. Hi! a wonderful post indeed which made me understand phenomenology at least to some limited extent! the word phenomenology has been used quite casually, and its wonderful to be introduced to the real meaning of it. By way of introduction, am a medical professional and have been interested in studying aspects of medicine with a view to gain deeper understanding of the phenomena therein. Was hoping to possibly discuss/collaborate with you. Please do let me know, cheers.